A topo-style climbing guidebook to Portugal describing all the major cliffs featuring 600 routes. The first ever climbing guidebook to Portugal - produced in the typical modern colour topo style that Jingo Wobbly publishers have developed. All the major cliffs have chapter introductions in both English and Portuguese, all the 600 routes marked in the guide are in topo form and include detailed maps. 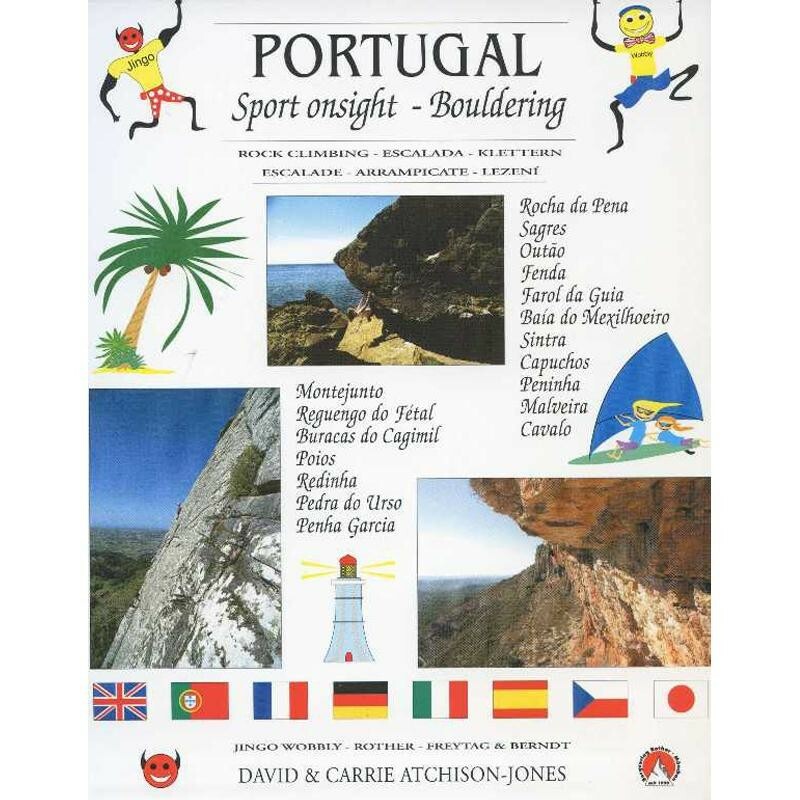 For anyone who wants to go to Portugal on holiday, this guidebook will entertain you on the rock.